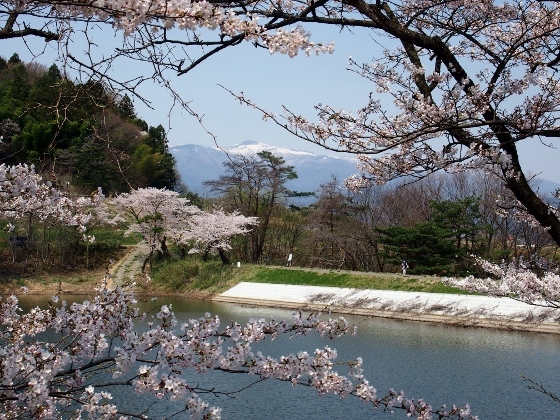 Today I visited cherry blossoms at Nihonmatsu City and Motomiya City, Fukushima Pref. At Nihonmatsu City I visited Kasumigajo Castle Park and Honkyuji Temple. And then I moved to Motomiya City and visited Janohana Park and Nichirinji Temple. 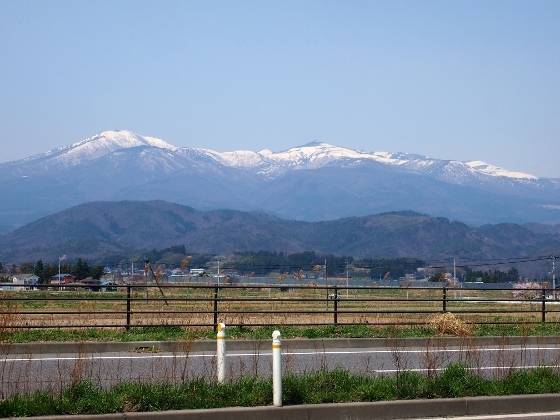 On the way to Nihonmatsu City I found beautiful Mt. Adatara from a bridge over Abukuma River. 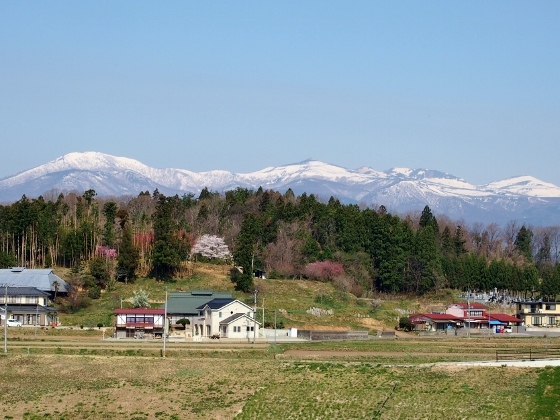 The view was different from what I saw at Koriyama City. The location was red asterisk 1 in the map. 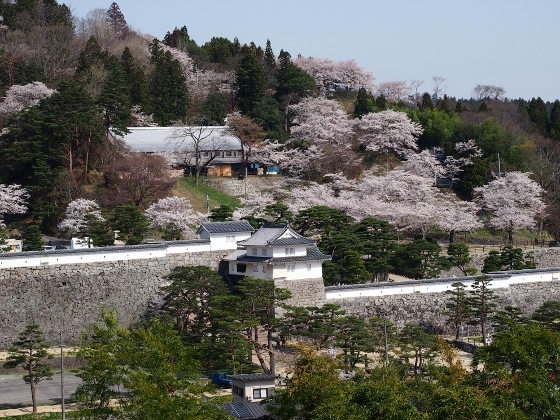 At Nihonmatsu City I first visited Kasumigajo Castle Park. 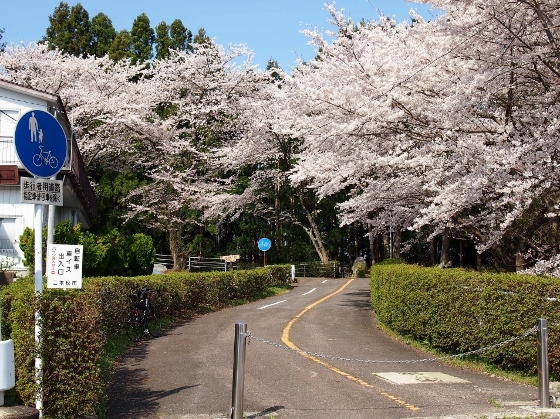 It lay on the hill of 300m altitude and the cycling road under cherry trees with full bloom welcomed me as shown in the above picture. 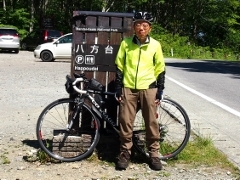 Soon I stopped at a place from which I could view Mt. Adatara through cherry blossoms as shown above. From the same spot I could look down a whole view of Minowa Gate of Kasumigajo Castle. 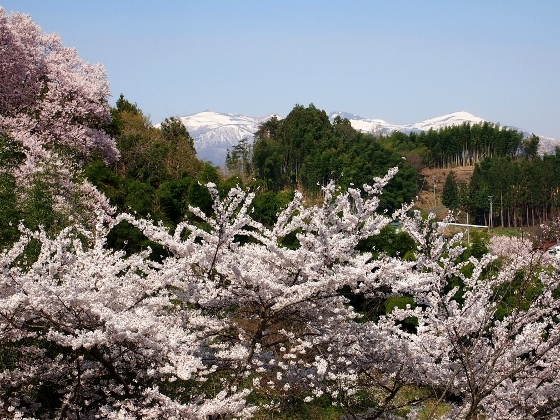 It was a beautiful view with the contrast of cherry blossoms and green pine trees. The local couple I met there kindly advised me about the Park. 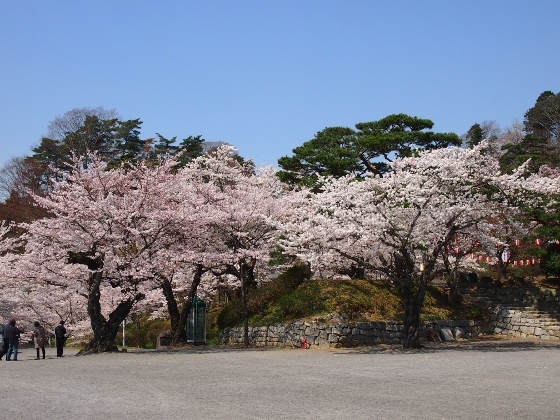 Above photo shows a cherry blossom view at the ground of Kasumigajo Castle. The location was red asterisk 3 in the map. 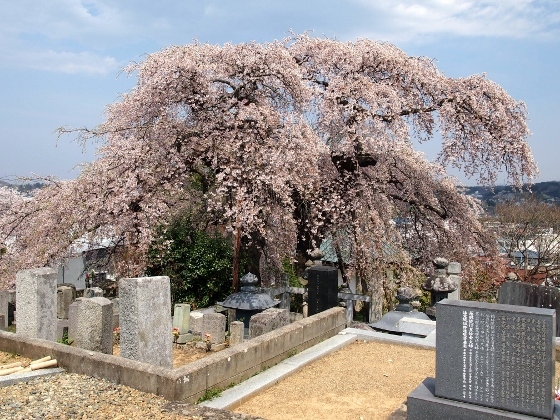 Next I visited nearby Honkyuji Temple to see large weeping cherry tree as shown in the above picture. The location was red asterisk 4 in the map. Then I moved to Motomiya City. On the way I again found complete figure of Mt. 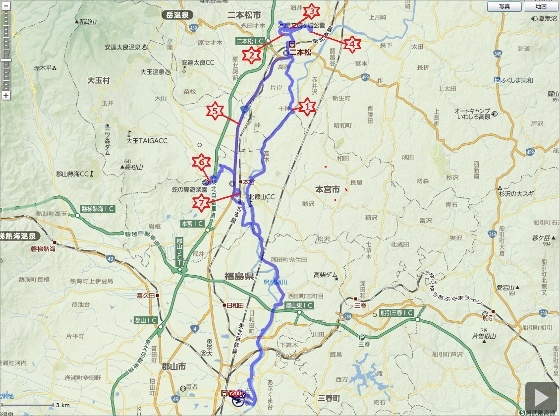 Adatara pedaling on National Route 4. The location was red asterisk 5 in the map. Near the entrance gate of Janohana Park at Motomiya City I could again see Mt. Adatara through beautiful cherry blossoms. The location was red asterisk 6 in the map. 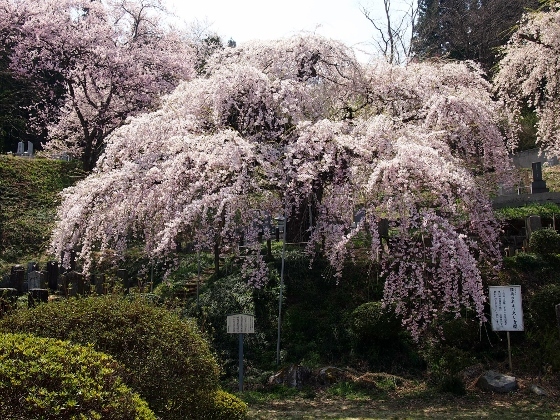 At last I visited Nichirinji Temple to see the pink weeping cherry trees as shown above. It was in the last stage of full bloom. The location was red asterisk 7 in the map.